I've been wearing red lipstick everyday for as long as I can remember- and long before my mom let me! In homage to my favorite make up, and my favorite brand I've painted these lipsticks in three shades of my favorite colour. 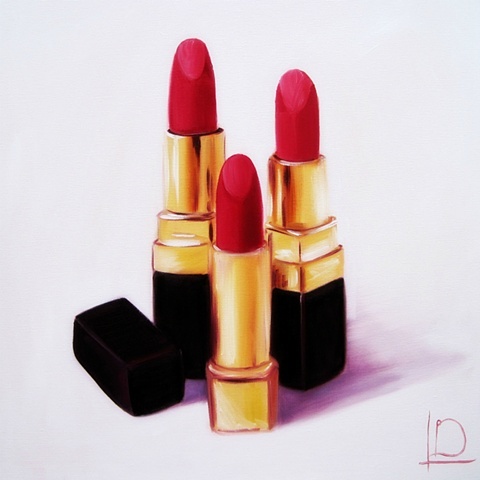 This painting sold before the paint was even dry- but I'm sure I'll be painting some more lipsticks, so keep checking back. Alternatively, let me know your signature colours, and I'll create a painting just for you. Get in Touch about commissioning a painting.